Modern Precast's fence products are trademarked under the name STONE CRETE®. Sales and installations are made in Utah, Nevada, Wyoming, and Idaho through Crete-Co., Inc.
Few things do as much to beautify a home as a Stone Crete precast concrete decorative fence. 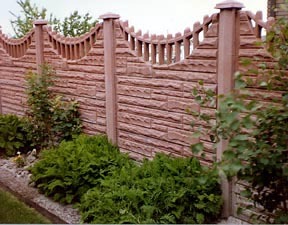 Stone Crete fences are comprised of modular components so they can be manufactured and assembled to fit any yard. Several attractive designs allow homeowners to complement any home style. Stone Crete fences offer more design possibilities than other fences. They can be manufactured in custom colors to satisfy homeowner preference or to match existing architectural structures. They complement all types of landscaping and enhance the beauty of flowers and shrubs. 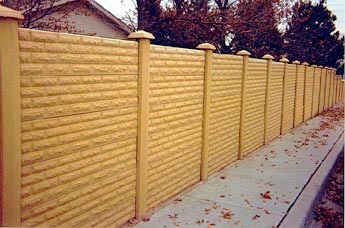 Fences are available in these standard colors and other desired colors. Colors may vary depending on monitor resolution.